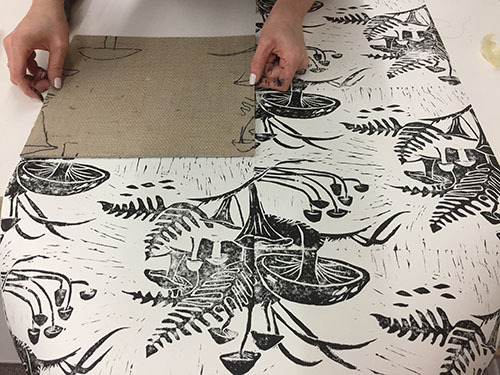 Louise will guide you through the process of creating your own hand-printed wallpaper using block printing. You will learn how to turn your design into a half drop pattern repeat and then carve your design into Lino. You will come away with small lengths of printed wallpaper, your Lino block and all the knowledge you need to complete your project from your kitchen table. As seen in Country Living Magazine. £150 for the weekend. See website for details.